Until the development boom of the 1980s, almost 40 years ago, Corolla, NC, was little-known and little-traveled and was often referred to as North Carolina’s last beach frontier. That’s all changed today. Today, Corolla is a hugely popular vacation destination. 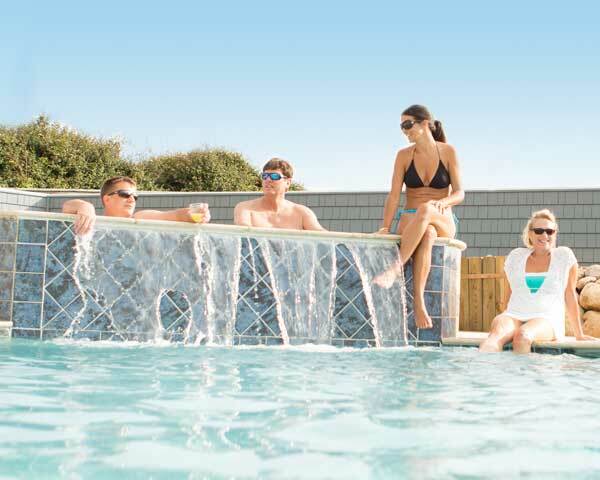 First and foremost a summer resort area, Corolla, NC, offers upscale rental homes and condominiums, watersports outfitters, a variety of Corolla restaurants and shops and several of the most popular Outer Banks attractions. Nevertheless, the beach is the main focus of Corolla, NC. The clean, wide beaches are spacious and uncrowded, especially in the off-season. Since it’s a comparatively new developed area (most of the houses and shopping centers were built in the 1990s), Corolla, NC, is known for its upscale offerings and polished appearance. Oceanfront mansions mingle with smaller yet still exquisite beach homes, high-end condos and some beautifully preserved old Corolla Outer Banks homes. Gated communities are common, and these developments offer all the expected amenities. Corolla, NC, weddings are quite popular, due in no small part to the many lovely homes that can serve as ceremony or reception sites. At the other end of the spectrum, north of Corolla’s paved roads is the Swan Beach and Carova area, a wild and rugged place accessible only by four-wheel-drive vehicle – and, therefore, perfect for current-day visitors to get a hint of the isolated experiences Corolla residents of old had. Rental homes in the four-wheel-drive area range from small and rustic to astonishingly palatial, but it’s the remoteness of the area that is the biggest draw. Before you come, read more about Corolla, NC, history. You’ll understand the spirit of this place by doing so . . . how duck hunting, isolation, shipwrecks and natural beauty all coalesced from a tight-knit oceanside community into this present-day vacation land. Corolla, NC, is home to the Currituck Beach Lighthouse (climb to the top for an awesome view), the Whalehead historic house museum with daily tours and the Outer Banks Center for Wildlife Education where you can often take classes. These three Corolla, NC, attractions, along with the historic village of Corolla Outer Banks, are the site for tons of fun Corolla, NC, activities year round – free outdoors-oriented programs, weddings, ghost tours, holiday events, lawn concerts and other Corolla, NC, entertainment. Perhaps the most famous Corolla attraction are the Corolla wild horses, which roam free in the four-wheel-drive area. Understandably, these horses are well-loved treasures as living symbols of Corolla, NC, and they are protected and served by a local group that sponsors The Corolla Wild Horse Fund and a fun event, Wild Horse Days, every July to raise money and awareness for these descendants of Colonial Spanish Mustangs. They also operate an interactive museum in Corolla village. 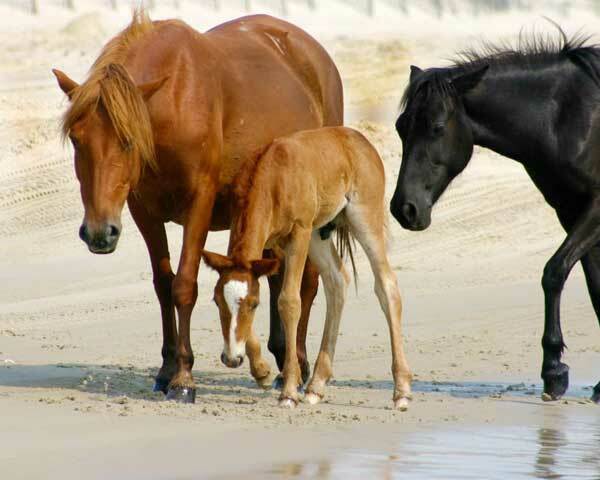 Several outfitters offer tours to the area to see the Corolla Outer Banks wild horses. Here, everyone’s mind is on the beach. Corolla’s beaches are clean and vast with fine sand that gently slopes to the sea. All this saltwater (including the surrounding sounds), and the outdoor-oriented lifestyle it encourages, creates a fine scene for the things to do in Corolla, NC: kayak tours, kiteboarding, parasailing, Jet ski rentals, surfing lessons, Segway tours, fishing charters (in case you don’t know, Corolla, NC, fishing is an angler’s mecca), wild horse-finding trips, go-carts, mini golf, a links-style golf course and tennis courts to keep you busy all day long. A bike path connects Corolla from stem to stern, and it's a very popular track, filled with runners, walkers and bikers at all times of the day and into the night. This means that, if you wish, you can bike (or walk, though that would be a long one) from shopping areas to the lighthouse to restaurants and to attractions. Dining in this town is a true pleasure because your options range from simple to elegant, and the types of cuisine from hot dogs to top chef-inspired. 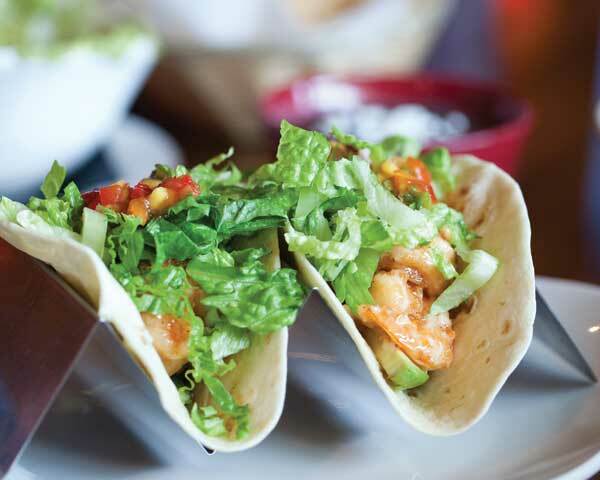 There are more than 40 Corolla, NC, restaurants to choose from, so even if you're here for a week and eat out every single meal, you still won't be able to sample them all! Here's a rundown of some of what you can expect: seafood, great steaks, Baja-inspired Mexican, Italian, home cookin', raw bars, hot dogs/hamburgers/subs, delis, BBQ, beer gardens, juice joints, famous doughnuts, breakfast spots, golf course dining, American fusion, bakeries, pizza, coffee shops . . . have we hit on your favorites yet? Most of these Corolla restaurants are quite laid back in style of dress (flip flops are not frowned upon, in other words), and almost all will take major credit cards. Reservations? Most won't take them, so your best bet if you don't want a wait in the summer time is to go early or late (but not too late since most stop serving around 9). Shopping in Corolla, NC, is happily devoid of super stores! Yay! 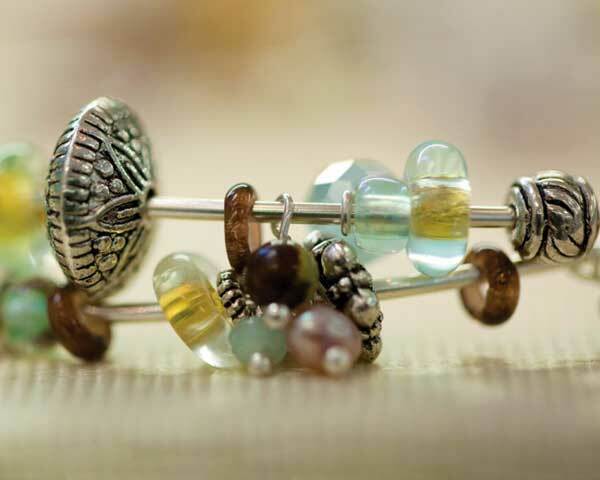 This mean that almost all of the stores you'll visit are locally owned and individual. Clusters of attractive shopping areas make Corolla, NC, shopping easeful, and set in among all the shops are restaurants and coffee shops so you can take a break from retailing for a meal or a cuppa Joe. Alongside wonderful art galleries, clothing stores, surf shops, specialty food places, sports-related stores, rental shops, seafood and farm markets and home decor stores are practical places such as hardware stores, two national chain grocers, fishing tackle shops and an ABC liquor store. There's no need to leave Corolla for the entire time you're there if you don't want to; everything you might need – and tons of what you might want – is right there. Believe it or not, there are only two Corolla, NC, hotels! They're both upscale and amenity laden and, as you might imagine, in very high demand at all times. The vast preponderance of vacationers stay in one of the thousands of Corolla, NC, vacation rentals here. Since Corolla itself is a relatively new destination, all of these houses are on the newer side (no classic oceanfront cottages as in Nags Head, for example), but that also means they have the latest and greatest interiors and amenities such as pools and hot tubs, multiple master suites, media rooms, gourmet kitchens and designer style. Many of the houses are located in communities that offer tennis, sports clubs, pools, clubhouses and more. As is true with the entire Outer Banks, holding destination Corolla, NC, weddings is wildly popular. Weddings are big business here, but that fact doesn’t take away from the ability to have an intimate, cozy experience . . . or a huge, expansive event. You’ll find hundreds of businesses ready and able to cater to whatever your wedding-oriented heart desires. Many vacation rental homes are sites for weddings and receptions, but the most popular site is Whalehead. Corolla, NC, is actually located in Currituck County (the last area you come through before you cross the bridge onto the Outer Banks if you're coming in from the north). The bulk of the Outer Banks are in Dare County, though Ocracoke Island is a part of Hyde County. It's north of Duck, NC. If you could drive straight down the beach from Virginia, you'd be in Corolla in no time, but, alas, that's not allowed since the Back Bay National Wildlife Refuge sits on the border of the NC/VA line. I've heard it's hard to get to Corolla, NC, in the summer. There's some truth to that on summer weekends when most the rental houses turn over. Currently, all traffic coming into Corolla, NC, goes through a bottleneck at the Kitty Hawk/Southern Shores intersection then travels up through Duck on N.C. Highway 12. With vacationers leaving and coming on those weekend days, that drive from Kitty Hawk to Corolla can take hours to go the 40 or so miles. Solutions? Travel early or late. Most the backup is from 11 a.m. to about 4 p.m. If you arrive early, you can go to the beach, go shopping or stop in for a bite at a restaurant. Many vacation rental offices now offer keyless entry, so you don't have to worry about arriving before the office closes in the afternoon. What's the main season for visiting Corolla, NC? The main Corolla, NC, tourist season is, obviously, summer – from Memorial Day to Labor Day. Fall is heavenly in the Corolla because the crowds are thinner, the rates are a bit cheaper, all of the businesses are still open, the locals are in fabulous moods and the weather is still mild. Perhaps that’s why there are an abundance of Corolla, NC, weddings this time of year! Don’t overlook winter and spring Corolla vacation, when you can definitely get an accommodation bargain and some isolation, though not all of the businesses will be open. Typically, many Corolla businesses close after Thanksgiving and reopen around Easter. That said, more and more these days, there are businesses that chose to stay open year round, so it certainly isn't a ghost town in the middle of winter. Are there beach accesses and lifeguards in Corolla? There are 15 public beach accesses in Corolla, and of those six have lifeguards. About half of them have paved parking areas (which usually fill up by 11 a.m.) and two have showers. As with all other Outer Banks towns, you are urged to swim within sight of a lifeguard and to obey the no swimming rule when red flags are flying. This the currents and shore break in this ocean are often stronger than many visitors are used to, so play it safe! What's the drive time from Corolla, NC, to other Outer Banks towns? These drive times take summer traffic into consideration. In the slower months, you can probably knock off 5-10 minutes.